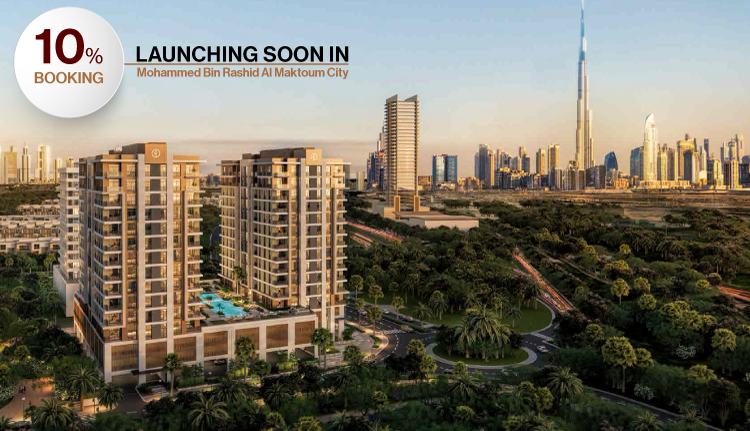 Two distinctive, 15-storey towers nestled within the tranquillity of MBR City. Welcome to Wilton Terraces I. Designed by the awardwinning architectural firm Perkins+Wills, the two stunning towers are interconnected by a single podium at the base, creating a distinguishing exterior that is unmistakably unique. 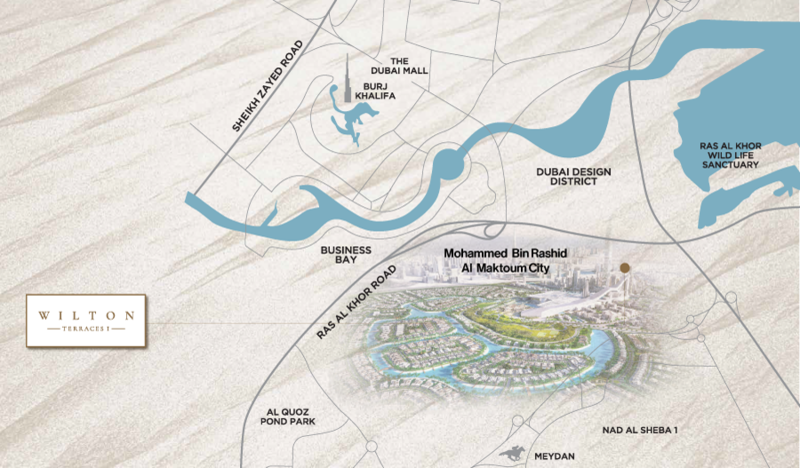 Featuring 140 bespoke one and two bedroom residences offering the finest of facilities and a wealth of amenities, these elegant homes craft a lifestyle of extraordinary comfort and convenience. Created with a focus on community living, Wilton Terraces I offers plenty of opportunities for families to connect and grow. Striking the perfect balance between the indoors and outdoors, each home overlooks the lush green gardens interspersed with public squares and elegant water features within the community. To put it simply, this is where modern architecture and nature come together, to create an exceptional living experience. 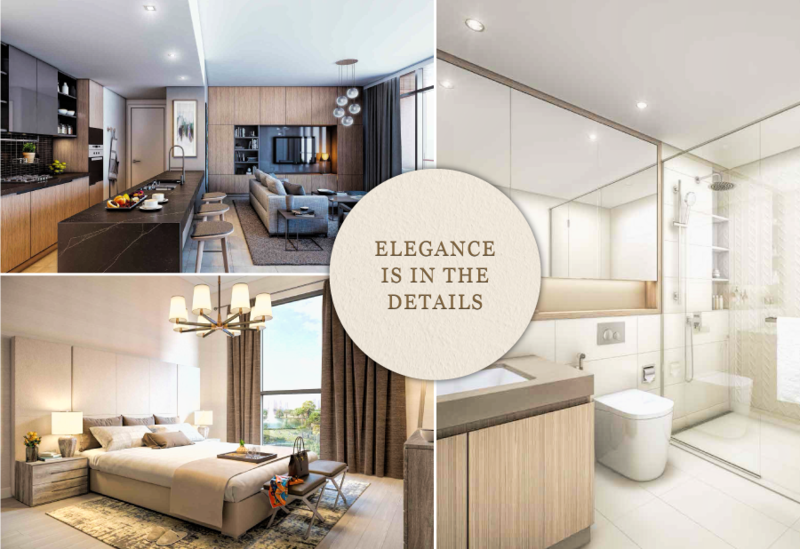 Each apartment at Wilton Terraces I, has been conceptualised with spatial generosity and transparency to allow a seamless connection between indoor and outdoor spaces. 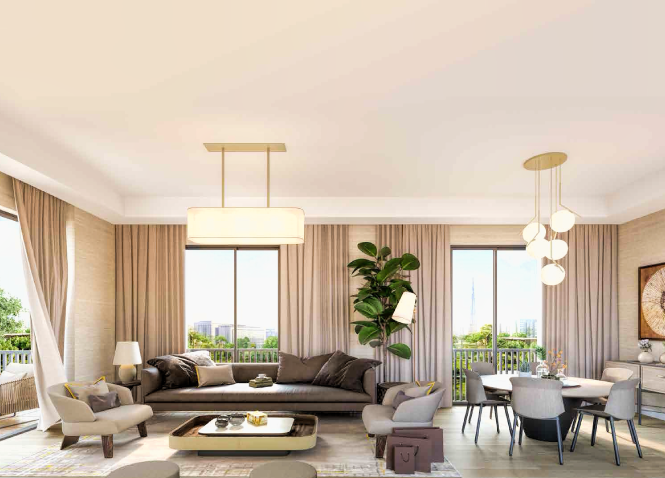 With expansive views of the surroundings, each home has been crafted to create an impeccably thoughtful space, entirely adaptable to its resident’s personal taste. The apartments also come fitted with separate laundry cabinets, built-in wardrobes and cabinets in the bathroom all with flexible shelves to offer maximum usage capacity. The welcoming heart of the home, the kitchen is lined with custom cabinetry and polished countertops, furnished with a fully integrated state-ofthe- art refrigerator and signature sinks and fixtures. Crafted to exceed the most demanding expectations, these luxury homes are the very embodiment of uncompromising excellence and unsurpassed elegance. Wilton Terraces I has been designed to elevate the lifestyles of individuals and families who will call it home. 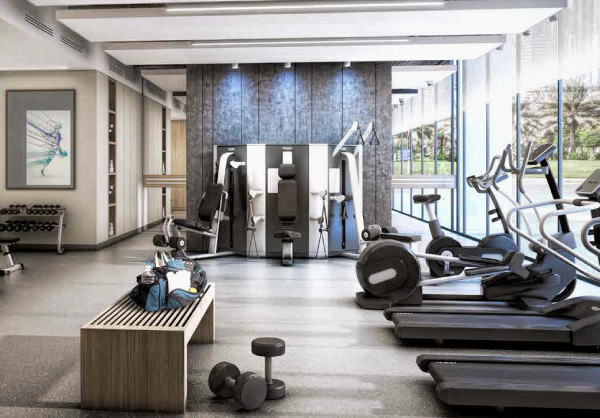 Between the two towers is a well-appointed recreational space, conceptualised to offer the most premium of leisure facilities in an atmosphere designed for families to thrive. Take a dip in the glistening waters of the swimming pool, keep fit at the state-of-the-art gymnasium or take turns at the grill in the barbeque area, while you entertain a few friends. 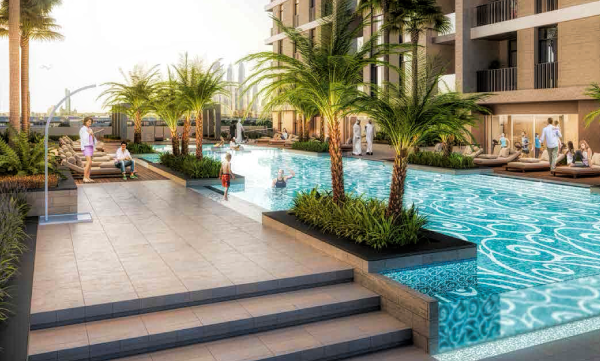 Children can take their first swimming lessons at the kid’s pool, engage in activities at the indoor children’s play area or connect with the outdoors at the beautifully landscaped gardens and parks surrounding the towers. 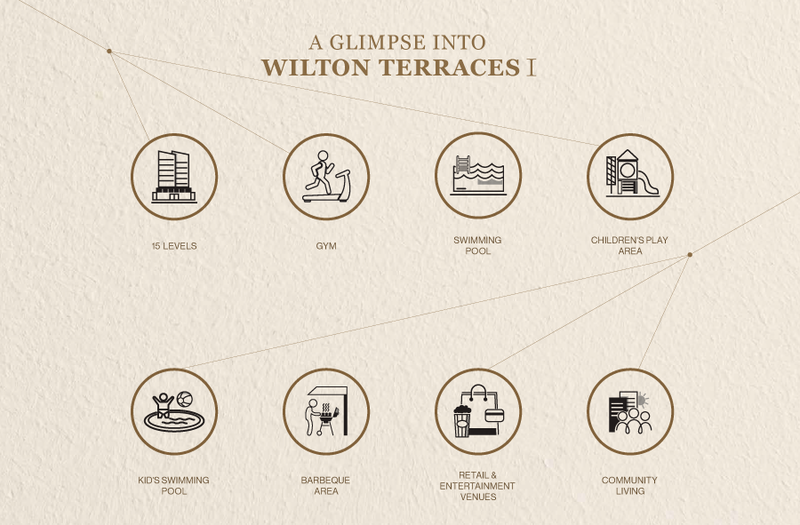 Conceptualised to give its distinguished residents a real sense of community, Wilton Terraces I creates an atmosphere where young families can connect, share and grow. This is where you can make time for what matters most in life. Nestled within the community of MBR City, the two towers are surrounded by plenty of outdoor spaces including play areas where children can engage in interesting activities as well as beautifully landscaped gardens and parks that serve as ideal settings for family picnics and intimate gatherings.